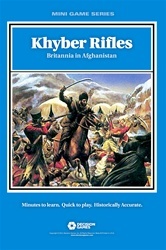 In 1842 Afghan rebels destroyed a British army as it tried to fight its way from Kabul to the safety of the Khyber Pass. The British launched an expedition to avenge that defeat, and that led to another campaign in Central Asia’s Great Game. 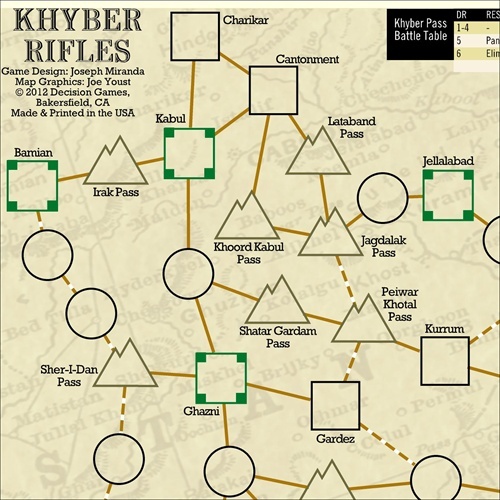 Khyber Rifles is a two-player game of that fateful year in Afghanistan. 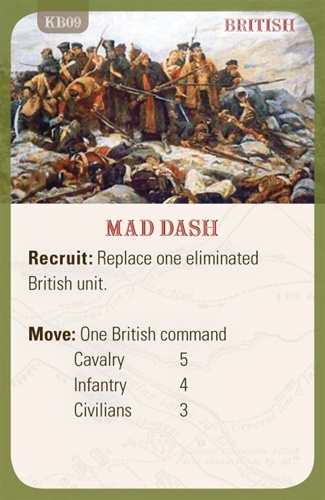 One player commands British forces, including the regiments and battalions forming the armies of Gens. Nott, Pollock and Elphinstone. 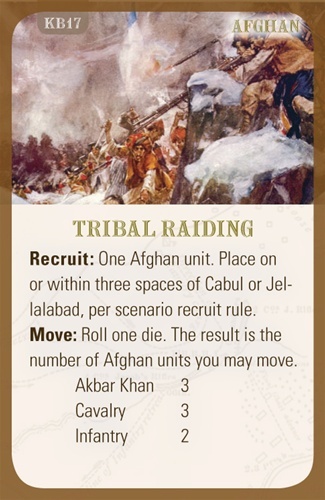 The other player controls various Afghan tribal contingents, led by Akbar Khan. The point-to-point map covers eastern Afghanistan and India’s Northwest Frontier area, including the famous Khyber Pass. 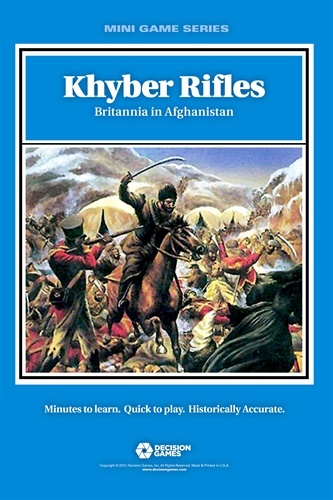 Khyber Rifles is part of the Hand of Destiny mini-game series. Each player has a unique deck of Campaign Cards. They generate movement abilities, combat bonuses and historical events. Accessing the right card at the right time lets the player concentrate forces to win that great victory against all odds—or perhaps go down to inglorious defeat. 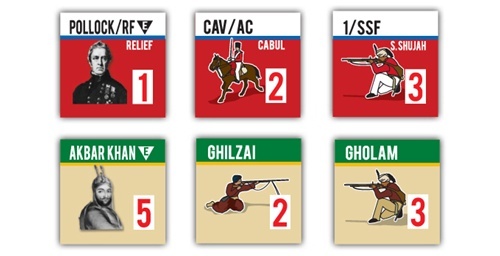 Some of the cards include: Ambush, Jirga Loya, Mad Dash and Relief Force. Combat is resolved via a quasi-tactical procedure. There are special rules for: elite British units, fanatic Afghan Ghazis, camp followers, Shah Shujah’s army, and irregular units such as Broadfoot’s Pioneers.